After a generous three-month Christmas recess, Colombia’s congressmen return to work to debate the government’s controversial development proposals and its refusal to sign off on a war crimes tribunal. Despite the major topics on the legislative agenda, the Senate and the House of Representatives have only three months to debate and vote on legislation before going on recess again on June 20. 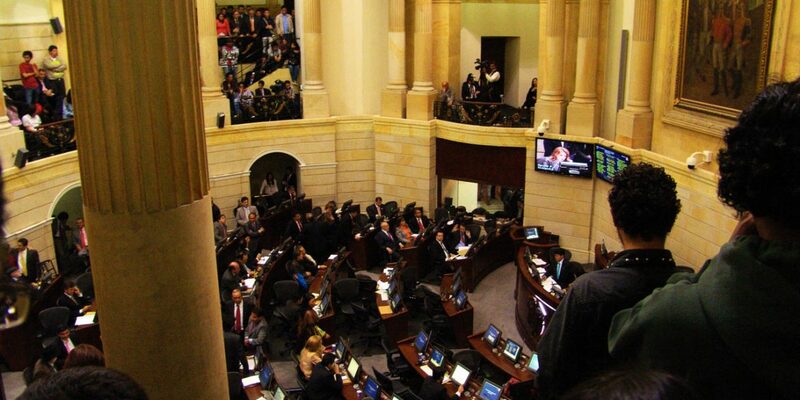 The second leg of the legislative year promises to be tense as the congressmen will also be campaigning for the October 27 elections in which Colombia’s voters are expected to elect new governors, mayors, city councils and provincial assemblies. While the opposition is adamant on debating President Ivan Duque‘s controversial objection to the Special Jurisdiction for Peace (JEP), the government reportedly will seek to push its National Development Plan (PND). The PND is the government’s most ambitious policy proposal as it seeks congress’ approval for its investment schemes for the coming four years. Whether this debate is able to prosper is uncertain as Duque’s coalition has no majority in Congress and parties on the left and the center want to prioritize the peace process and in particular the Special Jurisdiction for Peace (JEP), that seeks to provide justice to the country’s 8.5 million victims of the armed conflict. The first day of the second leg of the legislative year will also see massive protests against Duque’s decision to return the JEP’s statutory law to congress, a move deemed unconstitutional by the opposition as it had already been approved by Congress and the Constitutional Court.